Butyl Products Ltd. initially started designing, supplying, fabricating and installing geomembrane liner systems for tanks, reservoirs, lakes, bunds, etc. in the mid 1960’s. Initially we worked with Butyl rubber, soon followed by EPDM rubber, PVC, polypropylene, HDPE, LLDPE and Elvaloy as these materials were developed for liquid containment. Each material polymer has its own range of chemical resistance and all materials are available in a number of different thicknesses, both plain and reinforced, covering all material strength requirements. 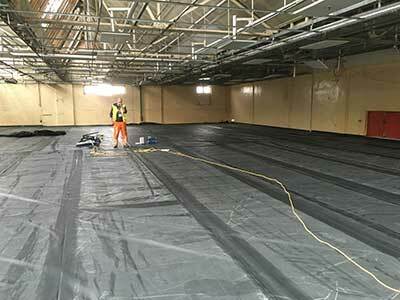 The Company now offers a Geomembrane lining solution for most liquid primary and secondary containment applications. As the Geomembrane Lining side of the business has grown over the years, Butyl Products Ltd have expanded and improved, incorporating a specialist division called Butek Landline with specialist staff and technicians to concentrate solely on our Geomembrane Lining Services. For more detailed information on our range of services and capabilities please visit our sister site www.Butek-Landline.co.uk or use our contact page to drop us a line with your enquiry.